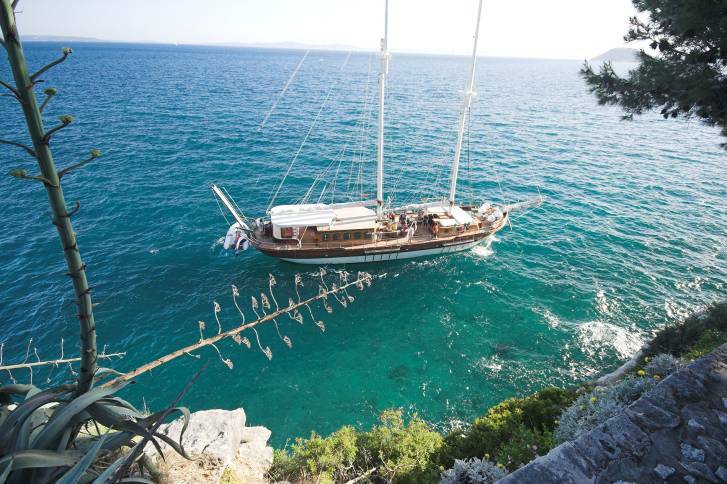 Sailing yacht LIBRA is a 34 meter custom built gulet, she was launched in 1997 and refitted in 2011. 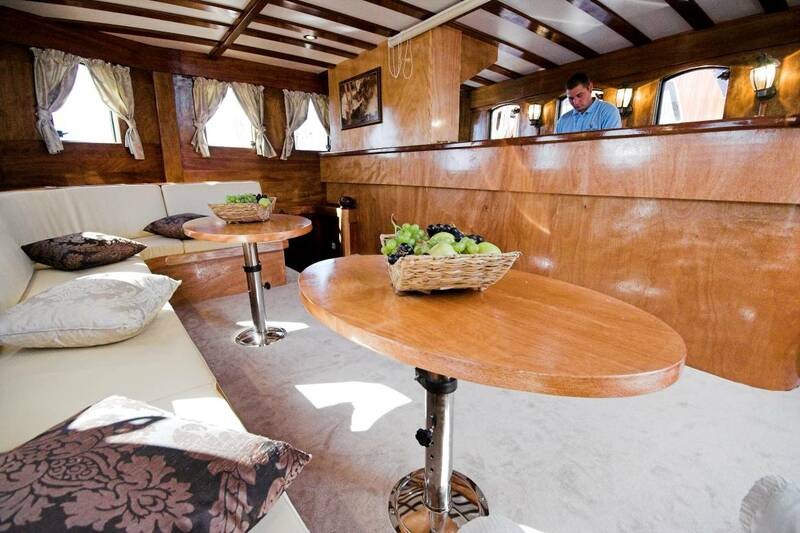 S/Y LIBRA can accommodate up to 12 guests in 6 double cabins, 2 of which have an additional Pullman bunk. The yacht is based in Croatia year round. 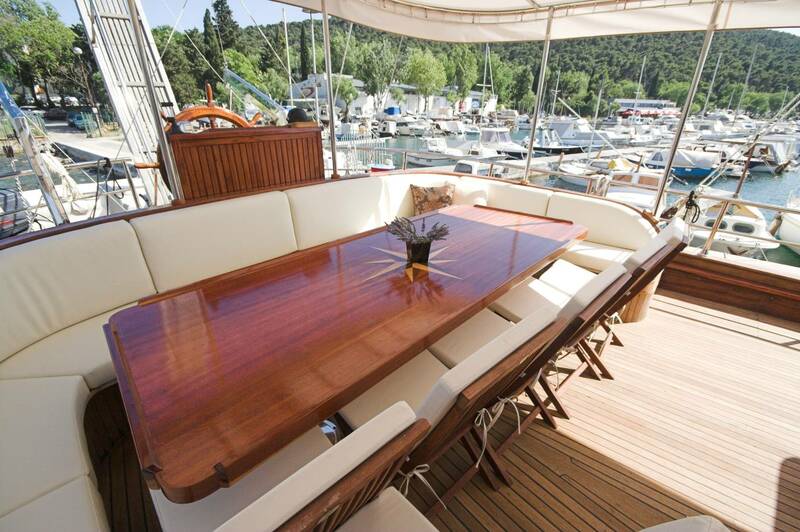 Charter yacht LIBRA has a stylish traditional gullet interior, with high gloss woods, light toned panels and white décor, creating a high end feel. The main salon has a full length bar with a comfortable cocktail lounge. 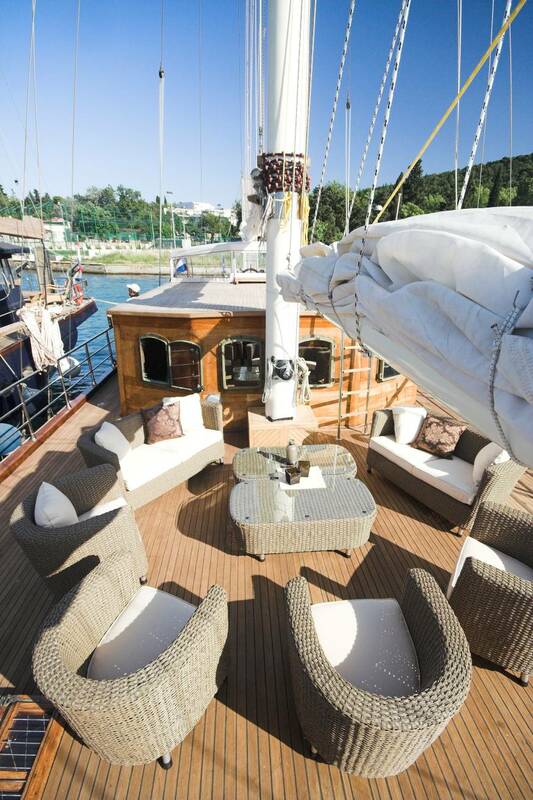 One deck S/Y LIBRA offers plenty of deck space, her shaded aft deck is complete with a large formal dining table, amidships is a large area with cushioned seating also perfect for sunning. 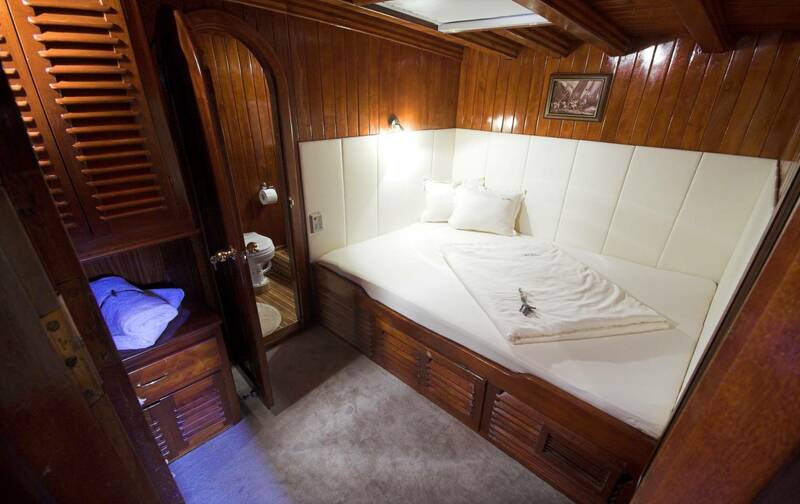 Sail yacht LIBRA offers a Zodiac Tender with a Yamaha 75 HP engine, Windsurfer, Sea kayak, Snorkeling equipment, Water skis, Deck shower, BBQ (grill), Music & TV, DVD player in salon and Internet. Gullet LIBRA measures 34 meters (111.5ft) with a beam of 7 meters (23ft), she is built of Mahogany wood and cruises at speeds of 9 – 12 knots. 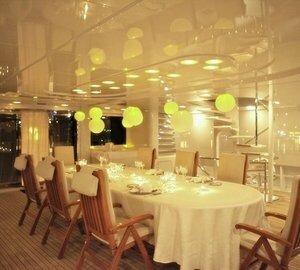 Yacht LIBRA accommodates 12 guests in 6 spacious cabins, all cabins have a medium toned high gloss wood interior with a light décor, 2 cabins have additional Pullman bunks and all 6 cabins provide en-suite facilities. Onboard the Croatia based LIBRA sailing yacht is a Zodiac Tender with a Yamaha 75 HP engine, Windsurfer, Sea kayak, Snorkeling equipment, Water skis, Deck shower, BBQ (grill), Music & TV, DVD player in salon, Internet, Professional navigation system (NAV PRO)Depth sounder, Wind indicators, Compass, 2 Autopilot, VHF, Radar GSM, Autopilot, GPS.